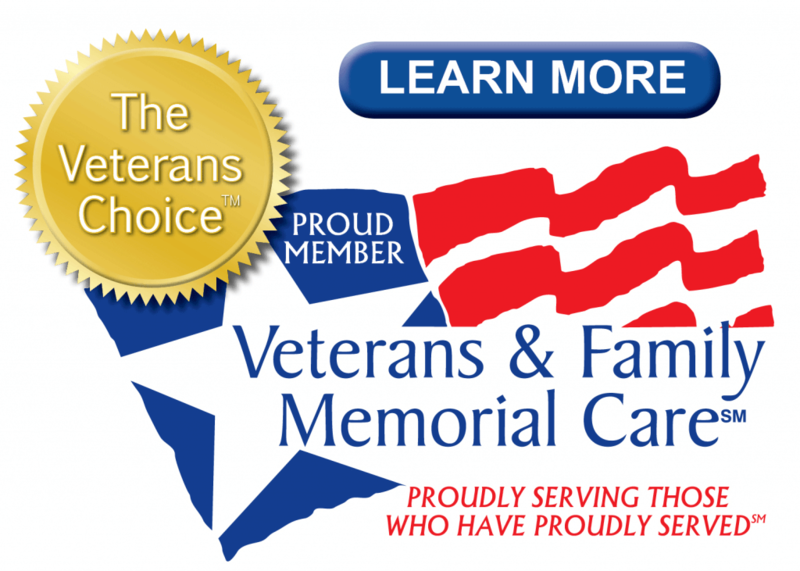 We are proud to be a part of the Veterans & Family Memorial Care funeral home provider network, providing the best in care for those who served – and for those who love them. Veterans & Family Memorial Care Providers are experts in arranging, directing and coordinating all of the details surrounding the death of a veteran or veteran’s family member. The VA DOES NOT provide or pay for funeral or cremation arrangements or provide transportation or military honors. Free burial for veterans is available at all VA national cemeteries to any deceased veteran of wartime or peacetime service (other than training) who was discharged under conditions other than dishonorable. Members of the Reserve and the Army and Air National Guard who die while performing or as a result of performing active duty for training may also be eligible. FREE BURIAL is also available to an eligible veterans's spouse, minor child(ren) and, under certain conditions, to unmarried adult children. As owner and operator of Sig's Funeral & Cremation Services in Bellingham, I would like to thank you for your sacrifices to our country. The freedoms that we all share are preserved in part by the bravery of the fighting men and women of America's Armed Forces. Thanks to the support of a local cemetery here in Whatcom County, we are able to offer a free burial plot to local veterans who have been honorably discharged from the service. For those that choose cremation, there are options available for you too. In addition to the free burial plot, we would also like to offer a grave marker and 10% discount on your funeral arrangements as our way of thanking you for your honorable service to our country. I have worked with hundreds of veterans and their families helping them with necessary forms and providing expertise to make sure that you are awarded a free grave marker, owed to all honorably discharged veterans by the United States Department of Veterans Affairs. Sig's is also the only funeral service in Whatcom County that offers the Cremation with Confidence guarantee. Even if you have made arrangements through other funeral homes in Washington State, you are able to move arrangements to us, you are not tied down to the facility that you may have purchased them from, by state law. Please call today for a no obligation consultation and allow me to arrange for these thank you gifts.